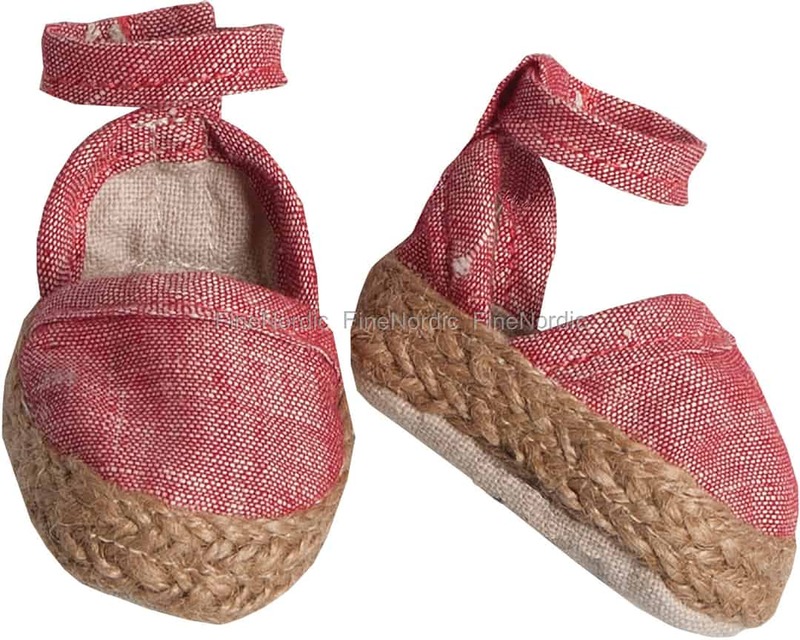 For a shopping tour in the city or for an afternoon at the beach, the casual red Medium Espadrilles by Maileg are just the right shoes for the fashion-conscious medium rabbit. Because they look pretty, can be easily put on and taken off and are super comfortable. Plus, one can hop twice as fast with them. However, on a rainy day the red Medium Espadrilles from Maileg need to stay home, because we all know that espadrilles are not suitable for wet ground.